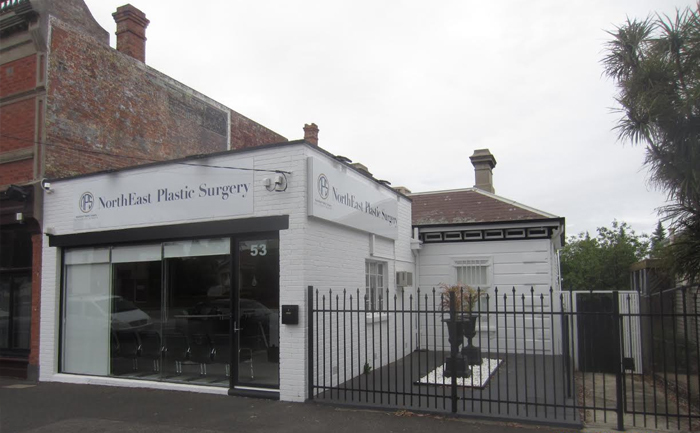 NorthEast Plastic surgery are your Melbourne experts in facial rejuvenation through neck lift and facelift procedures. We offer a range of surgical and non-surgical treatments to achieve the results you want and bring a new youthfulness and glow to your face. All of our facelift, neck lift, and fat grafting procedures are performed under general anaesthetic administered by specialist Anaesthetists in an accredited hospital. Our aim is to produce a natural, rejuvenated result which turns back the clock several years rather than radical alteration of your appearance. A facelift addresses excess facial skin and neck skin to a degree by smoothing out wrinkles that have formed and by recreating ideal aesthetic features. The procedure repositions soft tissue sagging which cause a squarer facial appearance, loss of prominence of the cheeks and the appearance of excess skin commonly known as ‘jowls’. A facelift also aims to restore optimum aesthetic facial proportions. Often performed in conjunction with a facelift surgery, neck lift surgery is performed to address excess skin and wrinkles of the neck area, vertical lines (known as platysmal bands) and what’s commonly referred to as ‘double chin’. Liposuction techniques are sometimes used to assist the neck lift procedure. Fat grafting involves transferring fat to improve the aesthetic appearance of the face from a donor site on your body such as the abdomen or thighs to your face which is harvested using liposuction techniques. Fat grafting can increase lip volume, prominence of cheek bones, reduce the depth of nasolabial creases and marionette lines around the lips and change the contours of the face. Approximately two thirds of the injected fat survives long term and multiple treatments can be performed as required. While facelift, neck lift and lipofill are surgical procedures which can dramatically address the changes of facial aging, the quality of facial skin, including pigment spots, uneven skin tones and redness from sun exposure or stubborn wrinkles and lines are best managed using non-surgical techniques offered at NorthEast Plastic Surgery. We consider it very important to provide a holistic approach to your facial appearance. A combination of surgical and non-surgical techniques may have a role in your facial rejuvenation and your bespoke facial aesthetic assessment will include advice about each type of technique and how each can improve your appearance. All non-surgical treatments undertaken at NorthEast Plastic Surgery and NorthEast MediClinic are performed by one of our experienced surgeons or highly trained Cosmetic Plastic Surgery Nurses to ensure safety and to make sure you achieve the outcomes you are looking for. Anti-wrinkle injections are one of the most widely known and commonly used skin rejuvenation procedures. The minimally invasive procedure addresses frown and forehead lines and crow’s feet, and upper lip and chin lines which can leave the face looking tired, angry or sad. Equally common are dermal fillers, which improve the contours of the face, make subtle changes to the appearance of jowls, eyebrow droop, increase lip volume, reduce the depth of nasolabial grooves which extend from the nose to the corners of the mouth, and marionette lines around the mouth. The effect of dermal fillers typically lasts six to nine months and treatments can be repeated to maintain their effect. NorthEast Plastic Surgery and NorthEast Mediclinic offers dermal therapies performed by a qualified dermal Therapist which include skin needling and peels to optimise the quality of your facial skin. These treatments have very little downtime and will result in your skin glowing with the appearance of youthful rejuvenation. The cosmeceutical skin care range is the ideal way to maintain the youthful glow of your face and compliments the benefits of facelift or neck lift surgery or dermal peel. The products recommended to you by your dermal Therapist will reflect the particular requirements of your skin as determined by your dermal therapy assessment. Why Consider Facelift and Necklift Surgery? A facelift rejuvenates these areas by removing excess skin and repositioning connective tissues underneath your skin and fatty tissue. Following surgery, you will notice increased definition in the corners of your eyes, added definition to your cheekbones, softened lines and creases around the mouth and a more defined jawline. A neck lift provides a boost for these areas by removing excess lax skin, removing fatty tissue under the chin, creating an acute cervico-mental angle and managing platysmal bands and submandibular salivary glands. Before deciding on any surgical procedure, it’s important to consult with your surgeon to determine your readiness for surgery and assess any relevant medical conditions identified in the medical history. Your surgeon will also explain what kind of outcomes can be expected from your procedure after thoroughly examining your skin quality and establishing any excess skin, assessing your facial skeletal structure, facial projection and proportions. Rejuvenation in this area will address forehead creases, frown lines and crow’s feet together with consideration of upper eyelid skin excess and eyebrow droop with surgical or non-surgical procedures, which can also be used in conjunction with each other. Rejuvenation in this area involves removal of excess skin and repositioning the underlying soft tissue structures in addition to addressing the lower eyelid fat herniation and ‘tear troughs’. Skeletal augmentation and lipofill techniques may also be considered. Rejuvenation in this area will address the appearance of jowls and excess neck skin, marionette lines, vertical bands and fatty tissue under the chin. An important part of your consultation will be making your surgeon aware of any previous surgeries and important medical history. Your surgeon should know of any tendencies towards bruising or excessive bleeding, use of prescription and non-prescription medications, psychological issues, and history of smoking. Your surgeon may require further medical assessment, including blood tests, before approving you for surgery. As part of your pre-operative management protocol, you will need to cease or modify intake of blood-thinning medications, along with other prescription and over-the-counter medications. Smoking can severely complicate surgery, so it is vital that patients who smoke cease doing so at least six weeks out from surgery and continue to abstain for six weeks following surgery. Products containing nicotine will need to be ceased two weeks pre- and post-surgery. NorthEast Plastic Surgery has an excellent safety record and all our surgeries are performed in accredited hospitals. However, as every surgery comes with risks, it is important that all our patients be made fully aware of potential complications before undertaking a procedure. In addition to complications such as scarring, infection, and bleeding, there are risks specific to facelift and neck lift procedures, such as seven to ten days of significant bruising and swelling, sensory nerve damage affecting the ears and cheeks and motor nerve damage affecting the eyebrows, eyelids and lips. Any additional surgeries performed to address complications will carry their own set of risks which your surgeon will advise you on before performing any procedure. The cost of an initial consultation at our Melbourne clinic is $175 ($225 for weekend consultations), with the potential to receive a portion of this back via Medicare where eligible for rebate, provided you have a referral from your GP. You can call our Melbourne office on 03 9088 5000 to enquire about any out-of-pocket costs before your initial consultation as well. During your consultation, your surgeon will provide you with a personalised quote for your surgery. In accordance with guidelines set by the Australian Medical Board, we do not provide set prices for any procedures via our website. All NorthEast Plastic Surgery procedures are performed in accredited hospitals, which you can view on our homepage. Patients undergoing a facelift or neck lift will be under general anaesthesic administered by specialist anaesthetists. Incisions will be made in front of and behind the ears, as well as within the scalp above and behind the ear. An incision may also be required under the chin. The surgical wounds will be repaired with internal dissolving stitches and external stitches that will be removed within two weeks after surgery. Following a period of observation and after the removal of drainage tubes, patients are typically discharged from hospital on the same day. You will be given pain medication and antibiotics to minimise discomfort and potential wound complications. It is advisable to keep your head in an elevated position to minimise bruising and swelling. Facial compression garments must be worn for two weeks following surgery and you will be advised on a post-operative protocol to expedite recovery and minimise bruising and swelling. Your recovery will take approximately two weeks. This is the period in which you can reasonably expect to return to work, though swelling will not subside significantly for another six to eight weeks and may take several months to subside completely. Patients can typically resume driving once they have ceased pain medication, which is normally five days following surgery. Strenuous activity such as exercise can be resumed at around four to six weeks, though it is important to avoid any trauma for six weeks following surgery. At NorthEast Plastic Surgery, your privacy is important to us. Therefore, we do not display before and after photos featuring our patients on our website. If you wish to see before and after images illustrating the results we’ve achieved, please book a consultation. Your surgeon will take you through a range of before and after photos, which have been provided by previous patients for private use.